As lead singer of legendary Aussie rock band Cold Chisel and an equally successful solo artist, Jimmy Barnes is one of the best-selling Australian musicians of all time. A reformed drug user, he is now an outspoken pro-family, anti-drug advocate. Quilty’s work, thick with luscious paint, is frequently about life in the fast lane. The works often feature mean machines, heavy-metal icons and young men bingeing on drugs and alcohol. He explores the initiation processes young men perform in our society. “It was important for me to paint someone who those young men look up to, who has been able to give up drugs and alcohol completely for his family and for his health,” says Quilty. Born in Sydney in 1973, Quilty has a Bachelor of Visual Arts (Painting) from Sydney College of the Arts and a Bachelor of Visual Communication from the University of Western Sydney. He won the 2002 Brett Whiteley Travelling Art Scholarship and has worked as a full-time artist since, exhibiting in 15 solo shows and numerous group exhibitions. 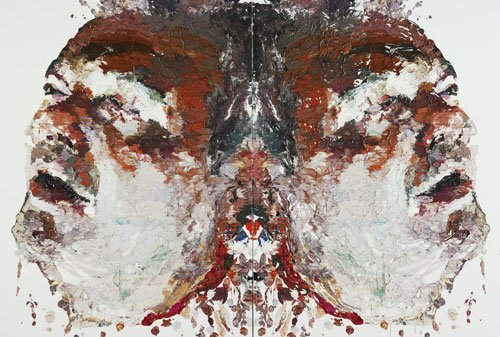 From May – July, the University of Queensland Art Museum is showing the first survey exhibition of his work Ben Quilty Live!, which then tours to TarraWarra Museum of Art in Healesville. This is his fifth time in the Archibald Prize.